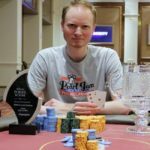 A professional poker player from Finland named mahmuttt88 wins the event#45 of the prestigious world championship of online poker 2016. 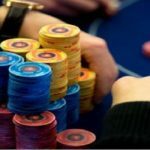 The event was a $320 buy in Fixed Limit Hold’em with 6 max players, which attracted 289 participants from the world and created a good total of amount $100,000 as prize pool. Top 35 places of the event get paid. This is becoming a good tournament for the finish poker player. The day 1 ended with 36 remaining player and from them Canadian poker pro cmu92 was having most of the chip counts with him. He had 267,000 chip counts with him on day 1 of the game. It was Jackal69, who got busted to 36th place and was out from the game without converting to any cash. Seat#1 belongs to a player from Belarus named Pandakey, who had 139,131 chip counts. Seat#2 belongs to a player from Poland named Krazy90 (63,885). The final table commenced during Level 31 with betting limits at 10K/20K. 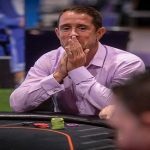 The first man to hit the rail was Krazy90 from Finland who made $3,585 from the game and was busted to sixth place, playing against his countryman mahmuttt88. 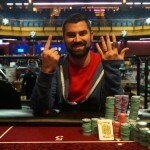 Pandakey pocketed $5,008 from the table and was out to fifth position. He had to go due to mahmuttt88: A♠K♣ and Pandakey: 6♥6♦. 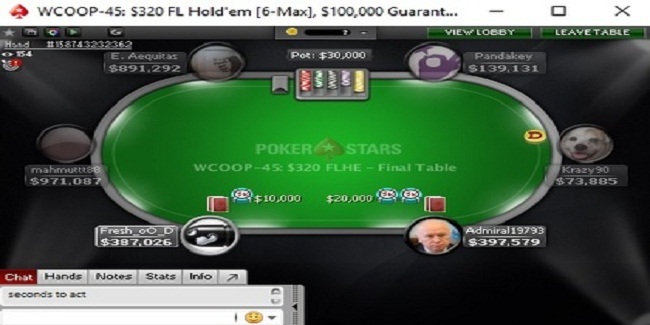 Four handed game including E. Aequitas of Finland becomes three handed after a few hands, when the finish player named E. Aequitas was busted to fourth place for a total winning share of amount $6,998, against Admiral19793. German Jens ‘Fresh_oO_D’ Lakemeier eliminated to third position, because mahmuttt88: Q♦9♠, meanwhile Fresh_oO_D had T♥8♥. He pocketed $9,778. 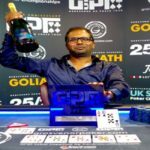 The heads up was among Seat 3: Admiral19793 (1,209,871) and Seat 5: mahmuttt88 (1,680,129), but it was mahmuttt88 who does well at the end and took home the title of the championship for, while Admiral19793 made $13,661, being second. Read full coverage of any poker festival here at real poker online and enjoy online gaming.